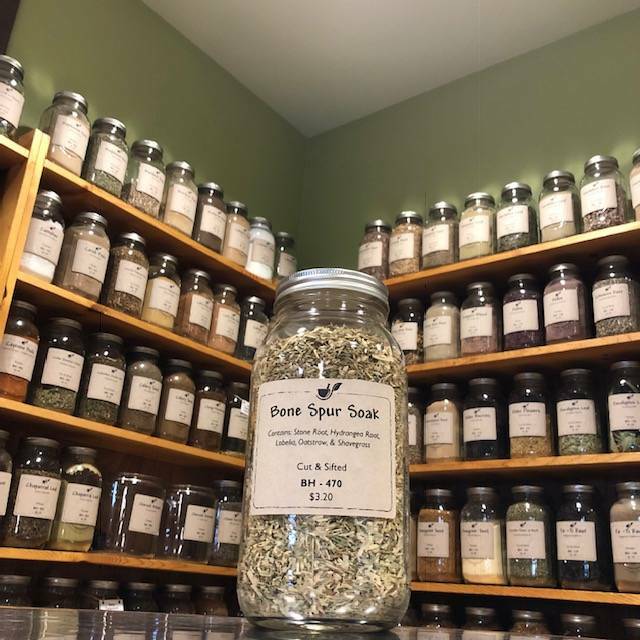 This Bone Spur Soak is useful for dissolving bone spurs, particularly in the feet. Bring 2 gallons water to a boil and immerse 1 bag of "Bone Spur Soak" in water. Simmer for 20 minutes. Remove bag. Add 1 cup apple cider vinegar. When cool enough to dip feet, soak feet, one at a time until the tea cools. Can re-use "tea" once or twice. Store in fridge or a cold basement up to 2 days.